When disaster strikes and your boiler breaks down leaving you with no hot water or heating you need a reliable company that you can trust. Absolute Plumbing and Gas Solutions Ltd is an OFTEC approved company that boasts a reputation for a reliable and speedy service that has helped make showers warm again across many homes in the Luton, Dunstable and Milton Keynes areas. 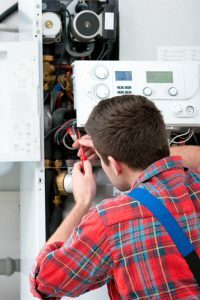 Our team knows their stuff, which is handy given that a boiler is a complex piece of equipment constructed from many distinct parts that can break down at any point. When you experience a boiler breakdown, our team will assess the situation and offer the appropriate advice. We will always offer a simple, upfront free quote that will be fully itemised. If we can repair the boiler then we will do so using one of the numerous high-quality parts that all our engineers carry. If the problem is a little more terminal, then as a last resort we will be able to talk you through your boiler replacement options. Our team are all Gas Safe Registered engineers and fully qualified to work on all types of boilers including Worcester Bosch, Glowworm and Baxi. As a company, we have accredited Worcester Bosch installation status, so you can rest assured that we’ll get your boiler back up and running with the minimum of disruption. 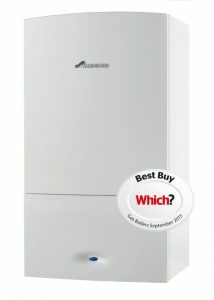 We also offer a commercial boiler repair service as well as domestic. If your business suffers from a boiler breakdown not only will it be a massive inconvenience but it could potentially cost you money. We can help your business minimise the risk of potential downtime with our efficient and professional response. At Absolute Plumbing, we’ve already returned central heating and hot running water to many homes and businesses in the Dunstable, Luton and Milton Keynes region. And thanks to our great boiler repair service many of these customers return to us time and again. I have used Absolute for both boiler repair and servicing on different occasions. Communication is always good and they work efficiently. I am happy with their services and would never go anywhere else. Thank you for getting us up and running, so lovely to have heat and hot water again with the new boiler. We will not hesitate to recommend you to anyone. Thank you very much.